Milnes Of Ashover - a Memory of Ashover. In about 1995, I found amongst my late grandmother's papers, reference to a couple of 'Uncles' - William and John Milnes - who lived at one time at Butts House in Ashover. It was mentioned that the two brothers had owned mines in the area, and at some stage had 'fallen out' and so Butts House was divided in two, and they never spoke to each other again. This intrigued me, and so in 1997, on a visit to Lincolnshire, I managed to travel to Ashover on a day trip, where I located Butts House, and that was about as far as my research took me at that time. In 2007 I visited England again, but did not go back to Ashover. However in 2008 I began to research the Milnes family of Ashover, and found to my surprise that they were once quite well thought of in the village. The biggest surprise I had, was when I was able to trace my grandmother's family back to Edmond Hodgkinson c 1667 who married Anne Nightingale c1676. Their daughter Elizabeth in turn married James Milnes in 1720. I had always thought my grand-mother's roots were in Lincolnshire. 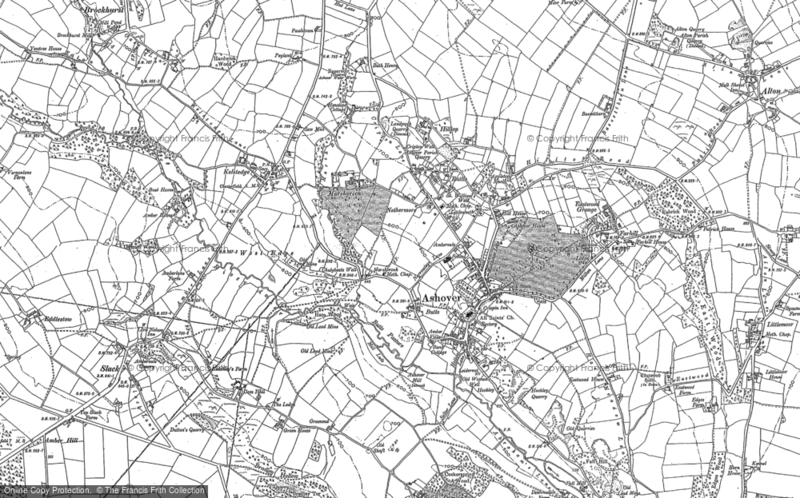 During my research I was fortunate enough to make contact with a woman who was from Ashover originally, and whose family had lived there for centuries. She helped no end with my search, even sending me a CD containing the Parish Records. Now I am looking forward to a return visit to Ashover in September 2009. Footnote: My grandmother emigrated to Western Australia in 1906, where I now live. A memory shared by Daria Burnett on Jun 9th, 2009. Send Daria Burnett a message. Add a memory of Ashover.